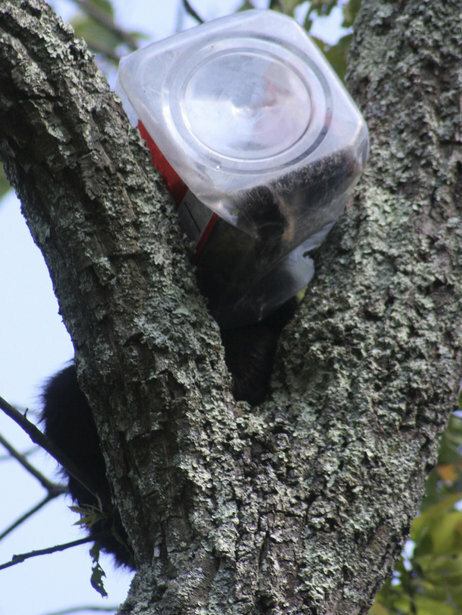 A bear cub in New Jersey got a little too interested in a plastic cookie jar left in a trash can! The cub’s head became stuck in the cookie jar after trying to eat what remained in the jar. Once approached by humans attempting to help, the cub climbed a tree but became stuck when the jar lodged between tree branches. Just like Winnie the Pooh getting stuck in Rabbit’s house! 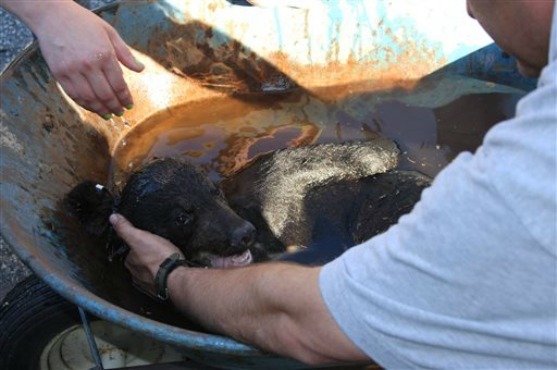 The cub was tranquilized, rescued, and the jar cut off his head. The cub is only around 6 months old and is now at an animal rehabilitation facility. Please, if you live around bears use common sense when disposing of your trash. Wash food containers and crush items like this cookie jar, and use a “bear proof” trash can or don’t leave trash out unnecessarily. Undiscovered, this bear cub would probably have died unable to remove the plastic container. We are all responsible for the safety of wildlife.